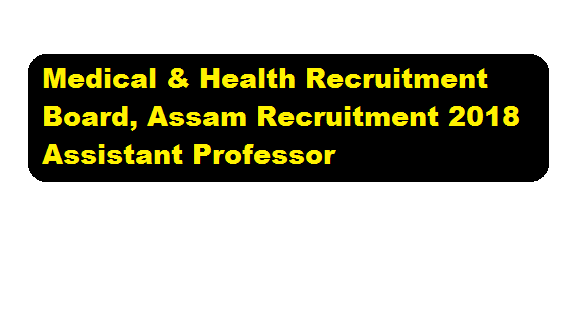 In this section, we will discuss in detail about Recruitment of Assistant Professor posts under Medical & Health Recruitment Board, Assam Recruitment 2018 with all the details and requirement. Online application will be received till 10/08/2018. Applicants have to produce the original testimonials including the copy of original Treasury Challan along with the downloaded applications, during the time of interview, schedule of which will be published in the websitehttps://nhm.assam.gov.in, in due course of time. All applicants are advised to visit the website accordingly. No TA/DA will be paid for attending the interview.